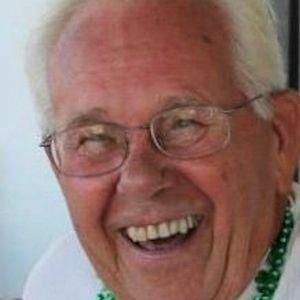 Rebhorn, Linus Norman "Bud" "Norm", 85 – of Cape May Court House, NJ passed away February 21, 2019. Norm was born in Philadelphia to the late Linus and Dorothy Rebhorn and worked as Chief of Investigations for the Office of Personnel Management in Philadelphia. He moved to Cape May County almost 30 years ago and was a lifetime member of the North Wildwood Elks and the Wildwood Country Club. He was predeceased by his wife, Loretta in 2011. Norman is survived by his children: Christine Rebhorn McMullen and Michael (Erin) Rebhorn; siblings: Ron (Judith) Rebhorn, Eileen (Skip) Shinners, Kay Gregoria, Joan (Tom) Kennedy, and Steve (Joanne) Blake; grandchildren: Kyle, Sean, Madison, and Alexis; and best friends Lorrie and Bill McCleary. He is also predeceased by sister Lorrie Kueny. Funeral services will be Friday, March 1, 2019 at Our Lady of The Angels Church, 35 East Mechanic St., Cape May Court House, NJ 08210. Viewing will be from 9:30 to 10:45 a.m. Mass will follow at 11 a.m. Interment will be private. In lieu of flowers, donations may be made in Norm's name to the American Cancer Society and Fox Chase Cancer Center. The family would like to thank Dr. Peter Corrado and all the wonderful staff at Fox Chase Cancer Center and Crest Haven Nursing Home. The beautiful and interactive Eternal Tribute tells Linus' life story the way it deserves to be told in words, pictures and video. I meet Norm when I joined Wildwood golf club. He was always generous and pleasant to everyone. I loved playing golf with Norm and listening to his stories. He was a terrific person to be around. He always talked about how much he loved his family and appreciated what they did for him. May he rest in peace. Sorry to hear of Bud's passing. Bud was a terrific friend to my father, Jim Casey, of Wildwood. He not only helped my father with different projects, but spent quite a bit of time sharing stories and visiting with him and our family, as we cared for our aging father. Bud was a terrific man! I always enjoyed playing golf with Norm and listening to his stories. He was a delight to know. He always told me how much he loved his family and appreciated what they did for him. May he rest in peace. Prayers and deepest sympathy for the Rebhorn family. May Bud rest in peace. Prayers for the Rebhorn family. May Bud rest in peace. Bud was our friend and neighbor on Ann Street and with TCPR for many years. My family will always remember his great sense of humor and fun personality. We shared the same birthday and other things during the 80s and 90s. Give my love to Lori, Bud.